High Construction served as construction manager for the construction of a new 83,500-square-foot, five-story Regional Headquarters building in Athens, Pa., for Chesapeake Energy. 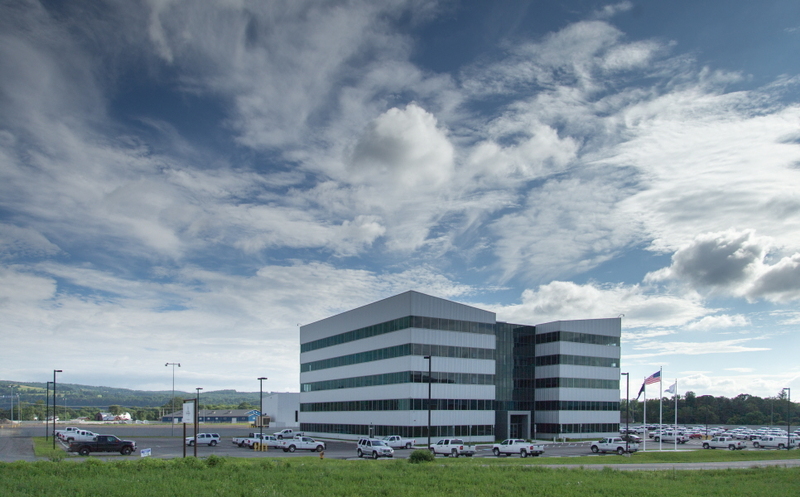 Located on the site of the former Blue Swan Airport, the corporate office complex is one of several buildings High Construction delivered over multiple phases. The office features a structural steel frame, cold formed metal framing at exterior walls and columns, and is fully sprinklered. Inside are two, 5-stop, elevators. The uniquely designed H-shaped building features a 2” insulated metal panel exterior with large spans of windows.